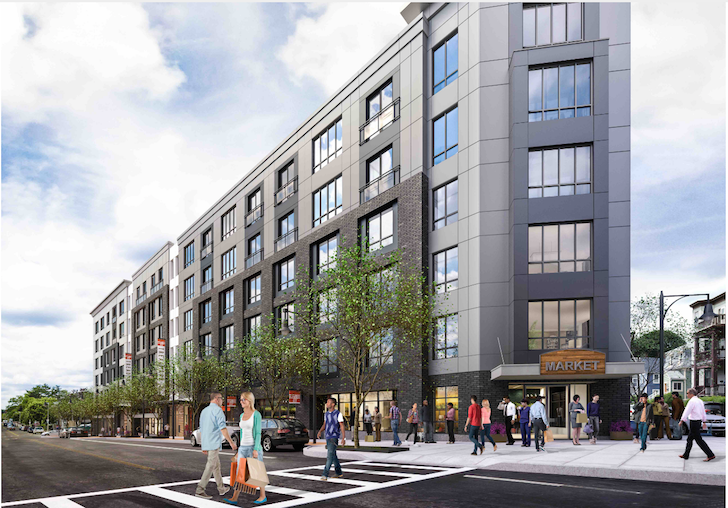 A Certificate of Occupancy has been issued for the first 4 floors of Treadmark in Ashmont. According the Bldup Boston, this certificate covers 51 of the 83 residential units. This project also includes around 5,000 sq. ft. of ground floor retail and parking for 30 cars. The building is six stories tall. Back in June of 2017, a six-alarm fire destroyed the almost constructed building thanks an improperly installed exhaust pipe next to combustible materials. The fire burned for 90 minutes before workers called the BFD. Now the project is just about complete, the Certificate of Occupancy has been issued for 51 of the units, which means residents are one step closer to moving in. We’re sure the businesses in the neighborhood cant’ wait for the influx of new residents! American Provisions, the wildly popular specialty cheese, meat and grocery shop located in Southie, is expanding and opening its second location on the ground level of Treadmark in the new year. Andy Fadous, one of the owners of American Provisions told Caught in Dot that they’re really excited to open up in Ashmont. “South Boston taught us the importance of being a part of a community, and the idea of being part of another awesome neighborhood that shares the same energy and vision is really important to us,” said Fadous.